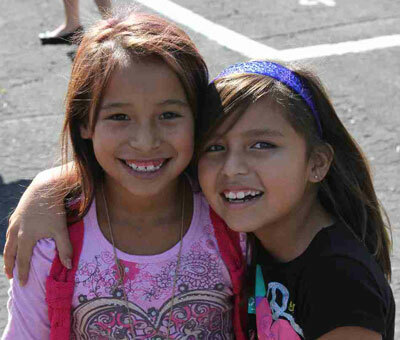 St. Joseph’s Indian School recently had its first ever Encouragement Day! Staff members gave me names of adults at St. Joseph’s that may need some encouragement. St. Joseph’s teachers then chose from that list of people to have the Lakota students make them cards. Teachers explained that encouragement can take place at any time. Students or adults then delivered the cards or put them in the mail. Sometimes a little encouragement is all you need! Encouraging others has been my own personal goal the last couple of years. I enjoy sending cards or delivering goodies without signing my name. We had the student’s sign their names this time, but we also talked about doing nice things just because we want people to talk about how nice we are. Sometimes, anonymous goes a long way! Some of our cards went to people whose troubles we knew about: cancer, illness, death of family member, depression, etc. But many were just a name. Teachers talked to their students about the idea that sometimes it’s nice just to be told to have a nice day or someone is thinking of you. I also told my class that a smile goes a long, long way in making people feel good. My goal is to encourage them to look around and be aware of people that need compassion. We don’t always need to know what is going on in their lives; we just need to know that we can show them kindness! I am hoping that this can be an annual event at our school. I also hope that teachers show their students how to encourage others on a daily basis. What a better world it would be if we all encouraged instead of discouraged each other! Next Next post: Track Season is underway!